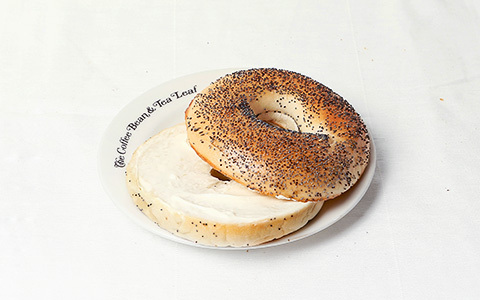 For a light but filling meal, grab our simple but delicious bagel with a cream cheese spread. 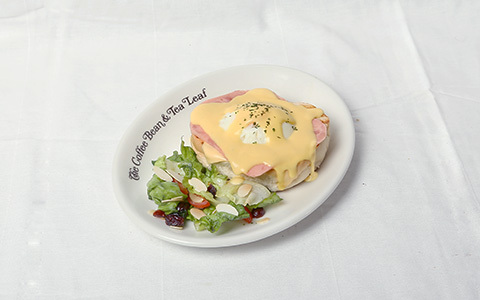 Rosemary focaccia bread topped with cheese, turkey ham, poached egg and our Hollandaise sauce. 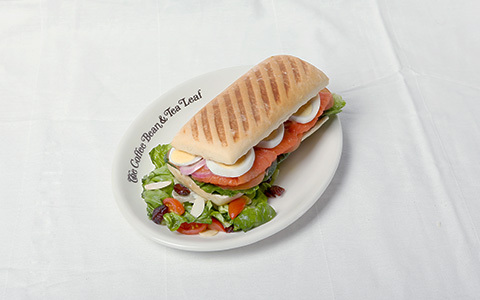 Smoked salmon upon a fresh bun, topped with an egg and served with a fresh side salad. 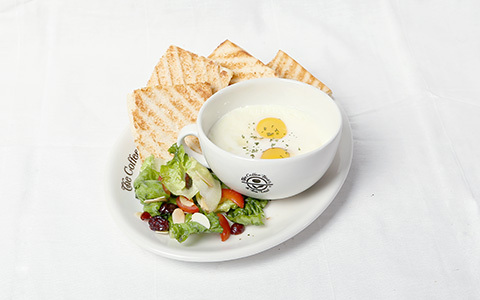 Panini bread, butter, jam and coddled eggs. 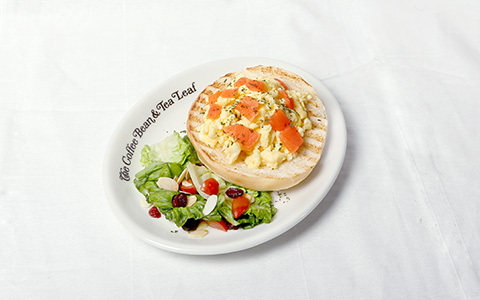 Freshly made fluffy scrambled eggs that chock full of fresh salmon served over a bun and a fresh side salad. These pictures are for illustration purpose only.